It could be the beautiful model, the all-white room, or the understated dress she is wearing... or maybe it was simply the enthusiasm in the air that surrounded this whole experience... but this maternity session photographed at The Fount Workshop is, hands down, one of my favorites I have ever photographed. Watching Abany Bauer style this session left me so inspired and gave me more tools to use when approaching my own work, which I've already started to use. 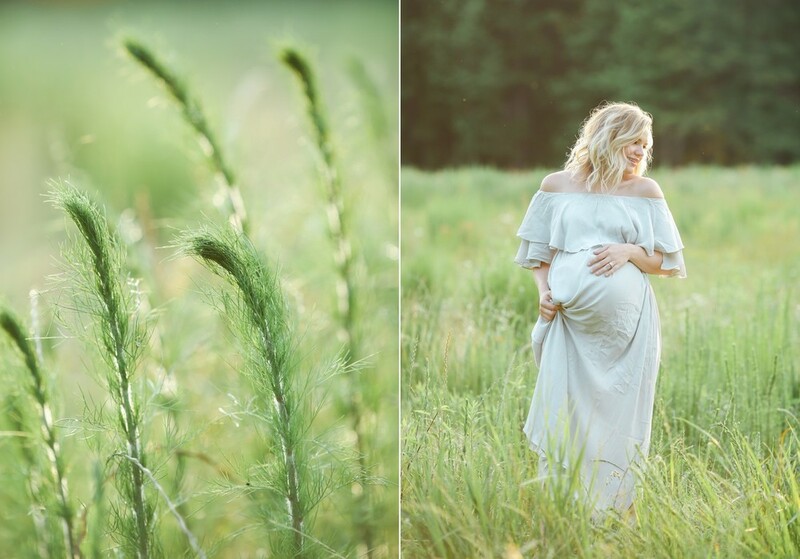 Below are my favorite shots from our indoor maternity session with Molly. Scroll down to see my favorites from our outdoor field session! Molly Stilley was the Hair and Make-Up artist for all models during the workshop styled shoots and she made a beautiful model herself! Here are a few of my favorite pictures from the styled shoot we did out in the field at Serenbe. Liz Cook is a wedding, family and birth photographer in Central Virginia. She loves to photograph emotional and discreet birth stories, the details of parenthood, and fun and easygoing couples in love.